Product prices and availability are accurate as of 2019-04-16 12:03:08 EDT and are subject to change. Any price and availability information displayed on http://www.amazon.com/ at the time of purchase will apply to the purchase of this product. 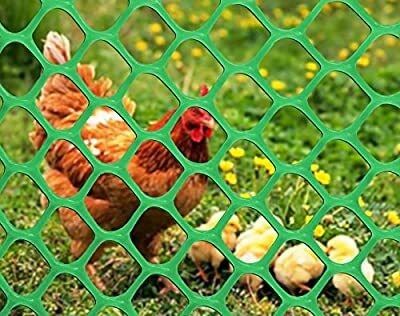 V Protek plastic flat net (also known as poultry net) is made with plastic raw materials after it's extruded in the heat of melting, extruded by the screw into a small hole with a number of internal and external die mouth of the special rotating head, the molten plastic flow through the die hole ,The formation of two strands of molten material, due to the head rotation, two strands of wire intermittent convergence in one point, thus forming a net, and then cooled into a net. Weaving and features: . Can replace metal wire. 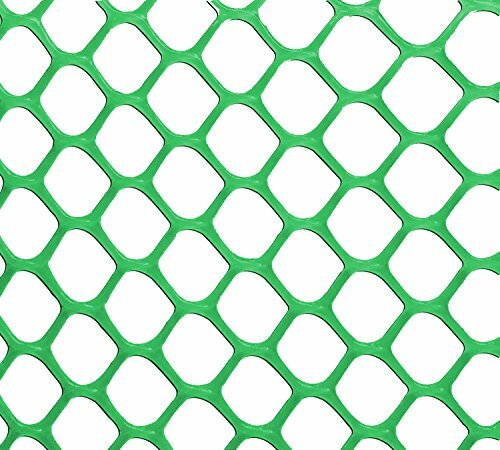 Light weight, long life, non-toxic and has good transparency,railroad, highway and roadbed reinforcement. 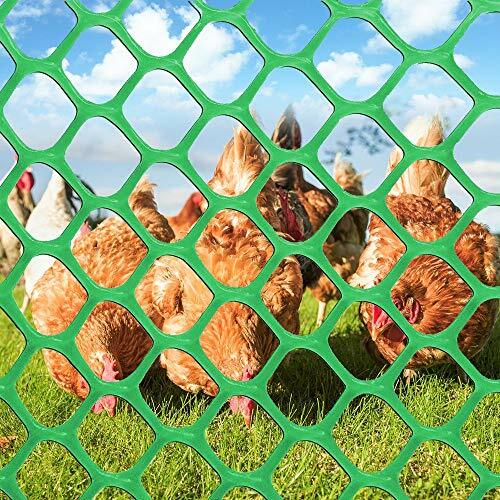 It can also be used in garden which is characterized by low cost, long life time. High-density low-pressure ABS plastic particles?green color ?good quality,durable. 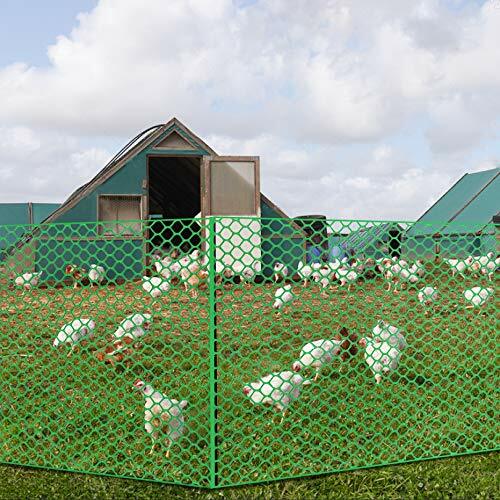 Sturdy 5ft-Hx20ft-L chicken coop with 2/5" openings and 1/10" thickness Processed from thermal spray and cold-processed. 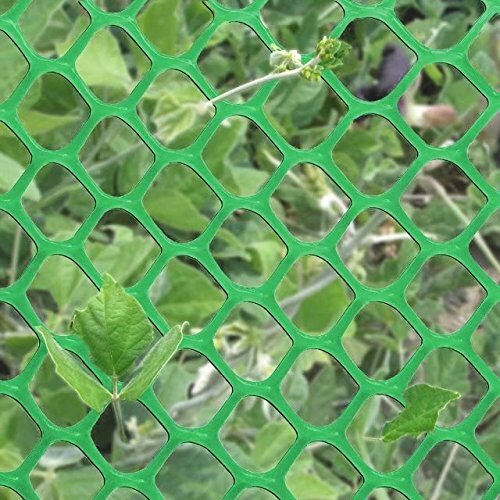 Wear-resistant, corrosion-resistant, toughness It is widely used in aquatic products, poultry breeding, sericulture, civil construction, aquatic product maintenance, garden golf course protection 100% Brand new ?high quality promised . Alos economic price for your best choice.